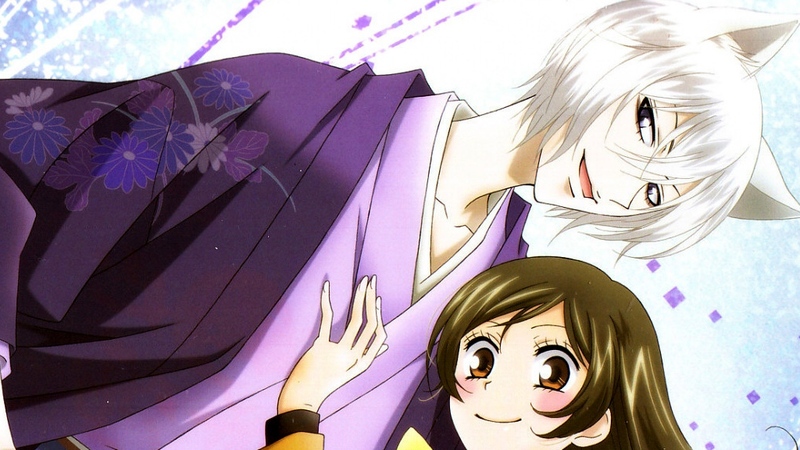 Kamisama Hajimemashita, a supernatural romance anime about a girl turned into a land god and the yokai familiar Tomoe. Join us as Lala-chan review this anime! Kamisama Hajimemashita is a supernatural romance anime about a 17-year-old girl, Nanami who due to circumstances ends up living in the shrine of the land god when he transfers his powers to her. There she meets the Yokai familiar Tomoe. The story follows Nanami as she learns to be a land god and how she falls in love with Tomoe. Kamisama Hajimemashita is a brilliant anime series for any viewers who are looking for a humorous, supernatural, romantic comedy. First of all, the characters are extremely likeable and one quickly gets attached to their personalities. The art style of this anime adds to the likability of the characters and it blends in excellently with the stories and the personalities of the characters. The story starts off with Nanami; the heroine of the story, who gets kicked out of her home due to her father’s gambling debts. While in despair of her life, she rescues a man from a dog. As a token of his gratitude, he offers his home to her. Having nowhere else to go, Nanami sets off the shrine where she meets Tomoe, the familiar, and the spirits of the shrine. However, unknowingly to Nanami, the man that she had saved earlier had been the land god of that region and had passed the “mark of the land god” to her. Right from the start, Tomoe fights with Nanami and has no interest in her and dismisses her as his mistress, leaving her alone with the two shrine spirits. Nanami tentatively accepts the duties of the land god. Later as she learns more about Tomoe, she realises that she had judged him too harshly and she decides to go look for Tomoe and bring him back to the shrine. As trouble befalls her and her life is threatened by a demon hag in the world over yonder, the spirits inform her that she needs to make Tomoe her familiar. The snag is that the only way to accomplish this is to kiss him. At first, she refuses, but due to circumstances she changes her mind and forces Tomoe to become her familiar by sealing a contract with him by means of a kiss. Thus Nanami became a true land god. The story continues and Nanami accepts various challenges as the land god. She ends up falling in love with Tomoe and confesses her feelings for him. Tomoe outright rejects her confession, saying her will never love a human. Nanami travels back in the past and witnesses a different Tomoe, in love with a human girl. She is not deterred and vows to make him see her the same way he had seen that human girl in the past. During the series, viewers can expect sweet and memorable scenes between Tomoe and Nanami ,that hints at a promising romance. Similar anime includes well-known anime such as Fruits Basket, as both of these anime include a man heroine who has lost everything and finds a new home among supernatural characters. Kaichou wa Maid-Sama is another notable anime that is similar to Kamisama Hajimemashita. Both anime are romantic shoujo, with likeable characters and both have a humorous, romantic story-line. Lastly, Otome Yokai Zakura is another comparable anime in the sense that they are both romantic shoujo series where romantic feelings develop between humans and Yokai.